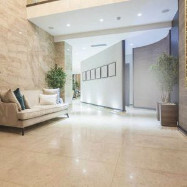 We have a tried and tested method when it comes to stone floor cleaning in London. It achieves exceptional results with only a quarter of the effort compared to traditional stone restoration methods. Because we save ourselves time, we save you money. When you first had your stone floor installed, you were probably overwhelmed by its beauty. Remember that amazing look, the mirror-like shine? Perhaps your stone floor is now looking a little drab? 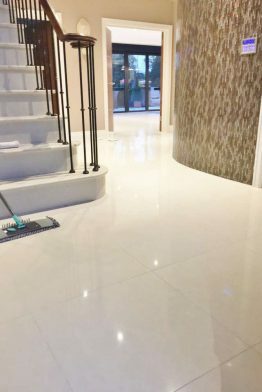 With the help of Silver Lining Floor Care’s stone floor cleaning services in London we’ll soon get that ‘just laid’ look back to your flooring and on many occasions, we have been told that the end result looks better than when it was first laid. 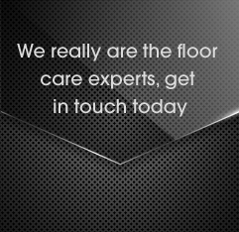 Our team of highly-trained specialists will restore your floor at a pace that will really impress you. We will also seal your floor – this will make your maintenance tasks easier, and your floor will retain its freshly-cleaned appearance for longer. If you’re unsure about how our services will improve the look of your floor, then we’re happy to come along and clean part of it for free – then you’ll see what a difference our services will make. 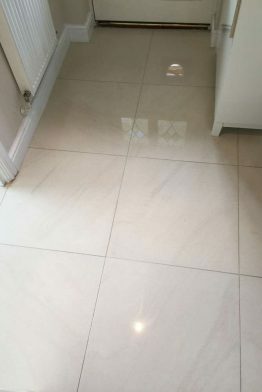 Often, cleanliness issues with limestone, slate or natural stone floors only become noticeable when the surface of your flooring is significantly soiled and the effects are impossible to ignore. Unfortunately this usually means that numerous layers of stain, dirt and bacteria have built up. Cleaning it yourself is unlikely to yield satisfactory results. Traditional cleaning methods for stone floors use chemical treatments, but even those are inadequate when it comes to the necessity of stripping away potential years of accumulated dirt. We use the lastest, methodical techniques that really get to the heart of the matter. We strive to restore even the most heavily-soiled slate or natural stone tiles to ‘as new’ brilliance in only a single visit. When we have completed the cleaning process we seal your floor – this will bless your flooring with ongoing protection. This also prevents more serious damage and staining from contaminants such as food and beverages. All our craftsmen are specially trained to deal with any aspect of stone cleaning or tile cleaning. 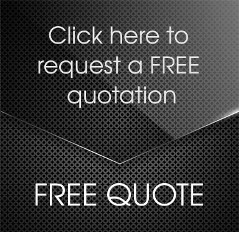 We guarantee we’ll provide you with the best stone restoration services that money can buy, for all types of both natural and manufactured stone. 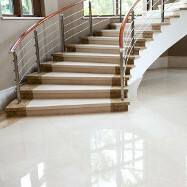 We can provide you with tile, grout, slate, limestone and marble floor cleaning services and much more. 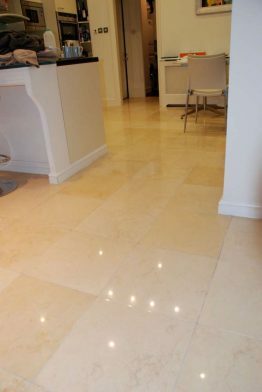 Maintaining and cleaning your stone flooring is a huge undertaking, and unless you have all the tools and time necessary, it’s often a job that’s best left to the professionals. We understand what it takes to get your floor looking back to its best, and we have all the necessary tools at our disposal to do a thoroughly impressive job. We’re extremely passionate about all that we do and we’re extremely talented at it! 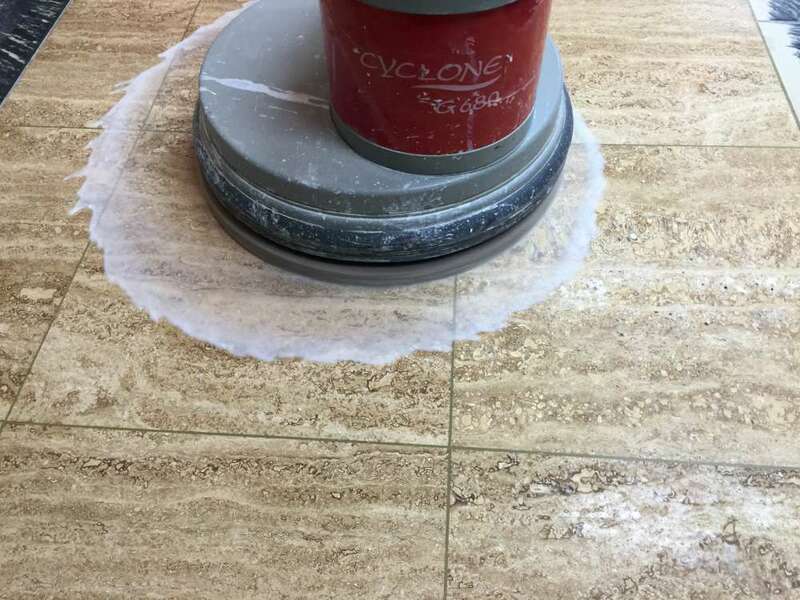 For the full range of stone floor cleaning in London, please contact us here at Silver Lining Floor Care by telephone on 0208 166 5947, or via email at info@silverliningfloorcare.co.uk.